Hieu Le is a registered architect in the State of Texas and started at Marek Architecture in 2014 and is the first member of the studio. He received a Master of Architecture and a Master of Construction Administration from the University of Oklahoma, with a focus on the design/build project delivery process. After graduation, Hieu moved to Austin to work for Tom Hurt on several multi-family and single-family residences. His time in Austin established his interest in the architecture of the region. Shortly after, Hieu moved back to Vietnam to work as a project manager for a real estate developer on several new urban projects. 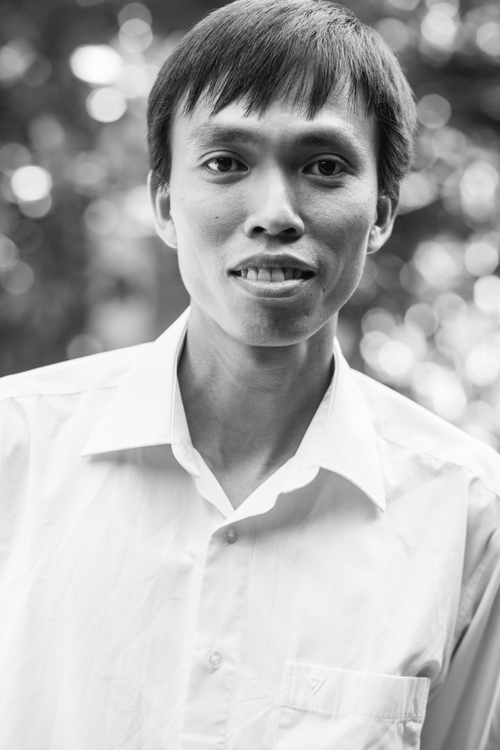 Adding to his architecture skill set, Hieu enjoys painting, sculpture, and shooting photography. Abbey Brown is an Architectural Associate at Marek Architecture. She received her Bachelors degree in Architecture from Louisiana State University's College of Art and Design. Abbey gained experience in commercial architecture at Heights Venture Architects in Dallas, and custom residential design at Jameson Interiors in Austin. She particularly enjoys the individuality of custom design. Abbey joined Marek Architecture in 2017 with the goal of further developing her residential design skills while pursuing her licensure in Architecture. Apart from architecture, she enjoys playing and coaching soccer, drawing, and painting using watercolor and acrylic paint. Shangyun Huang joined Marek Architecture in 2017 as an Architectural Associate. He received a Bachelors of Architecture from National Cheng Kung University in Taiwan and a Master of Architecture from Texas Tech University. Prior to Marek Architecture, he interned in Twang Design gaining experience in multi-family and single-family residential projects. His passion for regional architecture was ignited in his early life experiences from traveling around the world. He enjoys expressing and telling stories visually through photography and graphic design.